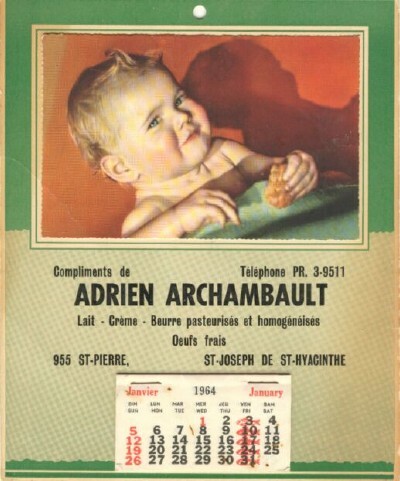 Mr. Jules Archambault, son of Adrien ! 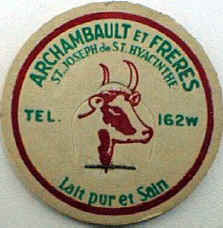 Caroline, Hélène and Jules Archambault's daughter relates: In early 30's, Mr. Zénon Desroches was at the origin of this dairy. 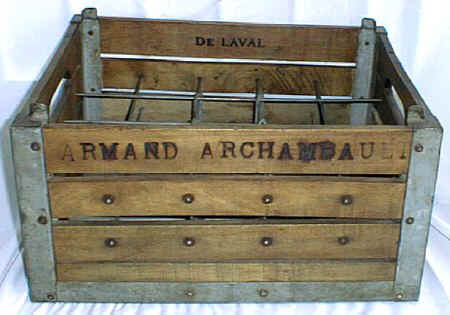 From La Providence, Mr. Desroches decided to sell his milk routes to Alphonse Archambault, the father of Armand, Fernand, Adrien and Roméo Archambautl. This transaction took place in 1934. 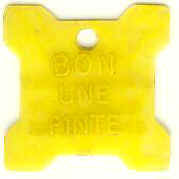 Roméo had a large herd of cows. He was already delivering milk to neighbours and the remaining of his milk was sold the his father's dairy where all his brothers were working. 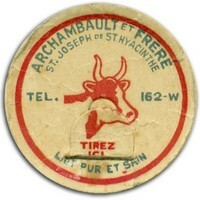 The dairy was situated at 955 St-Pierre Street in St-Joseph de St-Hyacinthe. As they needed more milk to satisfy the demand, they had to buy some more milk from other farms too. Early in the morning, milk was placed in white sleigh in order to be delivered to approximately 200 customers. 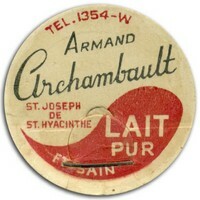 The first truck was bought in 1949. 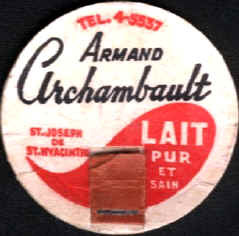 Other products that was needed to pasteurize milk was bought at "Maskoutaine and Mont-St-Hilaire" dairies. 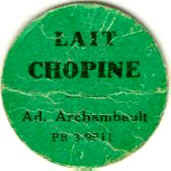 In 1952, Alphonse decided to leave the direction of the dairy to his son Adrien that held this fonction till 1967. That year, after 15 years of hard work to deliver fresh milk to "Maskoutains", they all decided to sell the dairy. The business that was deserving 900 customers was sold to Maskoutaine Dairy. Sources: Mr. Jules Archambault and his daughter Caroline. Bottles were never identified to the dairy!